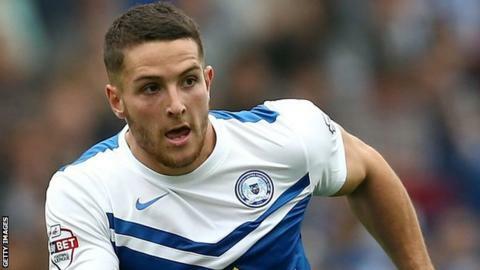 Newport County are set to be nearly £1m better off thanks to the transfer of Conor Washington from Peterborough United to Queens Park Rangers. The Welsh club are due 20% of the undisclosed transfer fee that took Washington to Loftus Road. Peterborough chairman Darren MacAnthony confirmed the news on Twitter. "Happy that @NewportCounty will receive nearly 7 figures for having done with business with @theposhofficial and that is how it should be," he wrote. Washington, 23 worked full-time as a postman before he signed for Newport from St Ives Town for an undisclosed fee in 2012. He has scored 15 goals for Posh this season after joining them for an initial £150,000 fee in the 2014 January transfer window. Gloucester City manager Tim Harris, formerly director of football at Rodney Parade, negotiated the deal on Newport's behalf and admits the club were always certain a sell-on clause would prove lucrative. "Negotiating the deal with Barry Fry (Posh director of football) was one of the most entertaining and memorable things to happen to me at my time with Newport," Harris recalled. "It was a tough deal to do as Barry was relentless, but a sell-on was always vital to the club, because we had huge belief in Conor. "A lot of lower level players have the ambition and the talent to play at a higher level. "Conor was different, because he had the desire as well and never stopped working hard." Washington told the QPR official website that he was lured by the attraction of working with former Leeds and Cardiff City striker Jimmy Floyd Hasselbaink. "As a striker, having someone like Jimmy Floyd Hasselbaink here as manager was a massive pull for me," he told the QPR website. "I know I've still got a long way to go in my development ,but I'm relishing the chance to prove my worth. "I've proved I can do it at every level I've played at so far, so I don't see any reason why I can't do it here with QPR."